The benefits of art and writing as a means to process trauma are widely acknowledged, and the survivors of the February 14, 2018, school shooting in Parkland, Florida, have turned that means of therapy into a book. “Parkland Speaks: Survivors from Marjory Stoneman Douglas Share Their Stories” was published by Crown Books, a division of Random House, in February of 2019, one year after the tragedy that left 17 members of their school community dead. 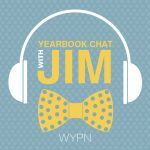 In the newest episode of Yearbook Chat with Jim, host Jim Jordan sat down with friend and yearbook adviser Sarah Lerner, CJE, andpublication students of Marjory Stoneman Douglas. 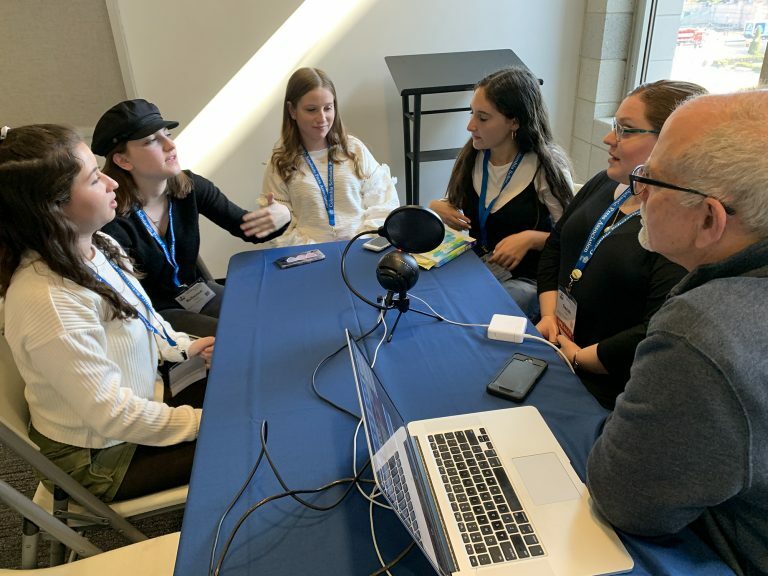 Recorded live at the Columbia Scholastic Press Association (CSPA) Spring Convention in New York City, they shared their experience contributing to and compiling the book and read from the pieces they submitted. Lerner and her staff have completed the 2019 Aerie yearbook. They’re attending CSPA, where Lerner will be given a Gold Key award – an honor CSPA bestows on exceptional publications advisers. “I really tried to get as much material as I could so that we were able to provide a very big-picture look at not just what the event meant to us, but how different people were dealing with things and processing their thoughts,” said Lerner. Her efforts resulted in a collection of pieces from the day and the attempts to process after it happened – including art, photos, writing, and parts of speeches and congressional testimony. She’s been overwhelmed by the positive response. Caitlynn Tibbets (who prefers to go by Cat) has two poems in the book. The first, “Case Number 18001958CF10A,” she’d posted online as a means of venting frustration about all the media attention being paid to the shooter. Lerner reached out to her asking if she’d like to include that poem. Later, Tibbetts remembered another piece that fit the book, “All Over Again,” a poem about the first day back at school after February 14. “All of a sudden, it was here, and it was really, really mind blowing that something I wrote, something that so many people wrote, is actually something that everyone can read,” said Tibbetts. Rebecca Schneid frequently wrote in her journals, so Lerner asked if she’d like to contribute to “Parkland Speaks.” It just so happened that Schneid had stayed up the night before the request writing a poem she’d originally intended for spoken word. “Zoo Animal” shares her feelings about being in the national eye and feeling constantly watched and scrutinized. Lerner knew Brianna Fisher from her Journalism I class, and reached out to see if she had anything she’d like to contribute. Fisher chose to submit a photo she’d posted on Instagram the day of the shooting. “The day everything happened, there was one picture everyone was posting on social media. And everyone had their long comments and what they wanted to say,” said Fisher. “And I kind of wanted to do something more personal to me, because I fell so connected to the school. That day, she chose to post a series of photos from times she’d been really happy, including the picture from freshman year orientation that was used in the book. Leni Steinhardt fell in love with journalism while taking Lerner’s Journalism I class as a freshman. When Lerner reached out asking if she’d like to submit a piece of writing, Steinhardt texted back a letter she’d sent to several local political officeholders just a few weeks after February 14. She’d been navigating emotional waters that few others experienced, so Steinhardt had turned to writing, which became, “a yelling rant to Marco Rubio.” That letter, which was sent to Rubio and several other local politicians, demands change and asks for answers to questions that hadn’t been answered. “Parkland Speaks” is widely available. You can hear these four read or describe their entries in the “Parkland Speaks: Live from CSPA” episode of Yearbook Chat with Jim, available at walsworthyearbooks.com/podcasts or wherever you get your podcasts, including Apple Podcasts, Spotify and Stitcher.